Hewlett Packard Enterprise Co, which houses former Hewlett-Packard Co’s corporate hardware and services division, reported better-than-expected quarterly revenue and profit, helped by strength in its hardware business. 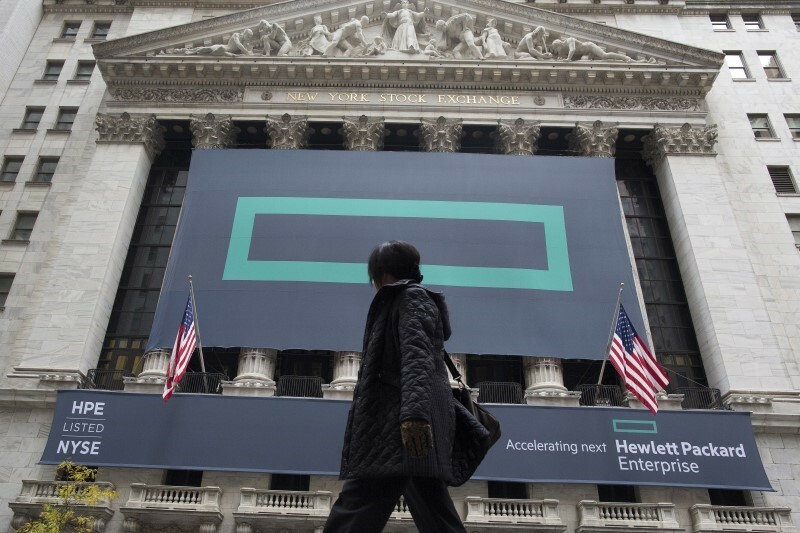 Hewlett Packard Enterprise’s (HPE) shares were up 6.4 percent at $14.47 (roughly Rs. 970) in extended trading on Thursday. Revenue in HPE’s enterprise group business, from which it derives more than half of its total revenue, rose about 1 percent to $7.1 billion (roughly Rs. 47,768 crores) in the first quarter ended Jan. 31, from a year earlier. The company, which is headed by Margaret Whitman, also maintained its 2016 adjusted profit forecast of $1.85-$1.95 (roughly Rs. 125-130) per share. Net earnings fell to $267 million (roughly Rs. 1,796 crores), or 15 cents per share, in the first quarter ended Jan. 31 from $547 million (roughly Rs. 3,680 crores), or 30 cents per share, a year earlier. After adjustments, the company earned 41 cents per share. The company’s revenue fell to $12.72 billion (roughly Rs. 85,580 crores) from $13.05 billion (roughly Rs. 87,796 crores). Analysts on average had expected earnings of 40 cents per share and revenue of $12.68 billion (roughly Rs. 85,306 crores).